Apple recently launched a new page for users to track the warranty and registration of their Apple devices. The ‘My Support Profile’ page lists all your registered devices, your address details, and includes support for a service called Apple VoicePass. Users sign in with their Apple IDs to keep their info up to date and to track all registered Apple products. 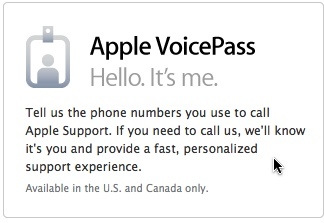 By registering your number with VoicePass, Apple will know that you’re calling and provide a “fast, personalized support experience”. 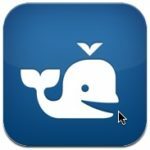 VoicePass is only available in the US and Canada only. After logging in with my credentials I could see my current address along with devices I owned, such as my iPhone 4. Serial numbers are listed beside products and you can even personalize each device with a nickname. I could also see the history of previous warranty issues I’ve had. Such issues like my iPhone headphones mic not working (lint was inside the earphone jack), and the iPhone 3G USB wall adapter recall (that was a long time ago!). Apple’s My Support Profile is a nice way to track all your warranty repairs, and to ensure all your products are registered with Apple. Definitely worth checking out, as you might see some surprise Apple repairs from the past.